A noble daughter with three strikes: no talent, no looks, no virtue. A trash wangye – disfigured, disabled, seriously ill. Bridal veil down–she wore a shallow smile. Leisurely and calm. Having experienced life and death, she only wanted to lead a quiet life. Going up to the wedding hall–he had a slight smile on his face; a heart as cold as ice. He suffered all kinds of humiliation, but there will be a day when he will stand above all beneath the heavens. –He is my husband. To bully him is to bully me. To insult him is to insult me. To hurt him is to hurt me. If someone were to hurt me, I would have to get to rid of them! –Benwang doesn’t believe in supernatural beings and doesn’t seek heaven. If she were to die, benwang would turn this entire world into purgatory and sacrifice this whole country to her! Very good novel. I especially like the MC. Shes not a "mary sue" character. She fights for what she haves using her intellect and keen understanding of human psychology. She was a member of the special forces in her last life and she could just have had been a leisurely, gentle wife in the next if she did not take up her weapon and followed her huaband to the battlefield. MC fell off the cliff. In wc I saw him really letting go of his restraint and going crazy. Huh. Novel updates only have this until chap49 so ai ended up MTLing this for a week! But no regrets folks. I tell ya. Great read. I love this! After reading the first couple of translated chapters, I've ended up reading this story nonstop for the past week 0.0 (rip sleep, up to chapter 382 and completely hooked, never a single boring chapter). There is so much political intrigue in this story, but the relationships are also very real. It reminds me of Chu Wangfei, Eight Treasures Trousseau, and To Be a Virtuous Wife. The main characters protect the people they love and are ruthless to antagonists while needed, and leniency is only in cases in which they make... more>> sure the antagonists can't do anything to them anymore. The female lead also is very realistic, and even though sometimes she wants to show compassion she won't do it if that ruins things, because the people she loves are more important. Also many antagonists aren't completely stupid and some are somewhat repentant, which gives it more of a taste of reality. There's not really any bowing heads to others, just not slighting non-enemies on purpose. overall the male lead's feelings changing was super realistic and fluffy w/o being dramatic, but later on there's a sudden super fluffy change and I think that's a bit overdone? Also OP (realistically, but still satisfyingly) female lead. A steady marriage life in the court story (with the usual side of court intrigue and a bit more military). MC totally a relatable, middle-aged woman living a quiet life. The image that comes to mind is that old aunt who married a scary military man, who gives out jam jars in family gatherings. You're forever wondering how the sweet mild aunty can marry such a terrifying man.... you just didn't know your aunty used to be MI6. MC and ML's relationship takes off quickly (compared to a heck lot of chinese novels). They actually talk out their differences, and there's none of that frustrating misunderstanding cliche. I can't stress this enough. They're actually friends who trust each other, help each other, and in the process of living together fall in love with each other. RELATIONSHIP GOALS. Loveable side characters who has actual character growth. Particular spotlight on the Xu brothers, and their relationship with ML... too precious. Villains can be more fleshed out but lbr I'm not here for them. ML's character did veer into the cliche possessive ML syndrome later, but as his background gets fleshed out, his warped character reveal is understandable. If I were him I'd have strung the scum emperor by his guts, emperor or no. My only regret is after this turnabout, the writer pushed the cliche too much, irrational jealousy, PDA and all. I'd go so far as saying his previous character was like another person altogether--but then again he did say he deliberately hid that yandere part of him, so I guess fair's fair. I really like the story but I think the thing I like more is the translation. The translator really did a good job. If you like Chu Wang Fei or To be a virtuous wife or Eight treasure trousseau, make yourself a favor ans pick this novel. The MC is calm and smart and just want to live a iddle life. No Alchemist or genius cultivator here. Read the entire untranslated work and enjoyed it very much. The MC is likeable, and the ML is not bad. There's a lot of warfare action interspersed with the court intrigue, which keeps things from dragging too much. The MC being apparently special forces in her past life, and thus introducing various facets of modern military doctrine and training to the ML's elite troops was an interesting touch. There's also a touch of mystery, as it turns out the MC is not the only transmigrant to this universe. Apparently, the founding emperor of the previous dynasty was a visitor from the real world too. In his fake imperial tomb, he left a note that has the location of the real tomb written down in English, which only the MC could read. Then in the real tomb, they find books and drafts of modern weaponry, as well as early experiments into explosives and guns. Though, the story is realistic in that the empire isn't advanced enough to immediately start mass producing guns yet, so only one gun show up near the end of the story. My favorite character is the MC's eldest cousin, Xu Qingchen, who has the appearance of a saintly gentle young master, the skills of a political genius, nerves of steel, and the bravery to waltz in and out of enemy territory without any martial skill to depend on. Also, girls - often martially capable ones - keep on trying to press marriage suits onto him, to the bemusement of the MC and the amusement of the ML. The villains of the story are hit and miss. Some are rather two one-dimensional, especially all of the female villains and the two Chu emperors (a paranoiac and a narcissist). Only a few of the antagonists are actually interesting, including the two guys both claiming to be Lin Yuan, and the ML's strongest military foe, Zhengnan Wang. Transmigration story looking like a cross-over between Princess Medical Doctor (stolen fiancee by fake-pure but bitchy younger sister and mariage with the cripled royal), To be a virtuous wife (all the family grief: mother dying in sorrow, prestigious overprotecive maternal family) and Chu Wang Fei (i hope that the MC won't be hated as Chu wang future fei....). 3 chapters so far but I like the MC. She gave off a calming aura. Old life : she was a soldier for ten years, her life fulfilling, no regret but she... more>> is worn out and looking for a quiet life. Not bad, good writing. If you like this kind of transmigration story, go ahead ! Still I hope that we won't fall in the revenge or crisis after crisis pattern. If you're looking for a novel similar to To Be A Virtuous Wife or Eight Treasures Trouseau, this is a good one for you. It has a mature, cool-headed, relaxed female MC that just wants to live a peaceful life. She doesn't go looking for fights, but knows how to take care of herself and her own. 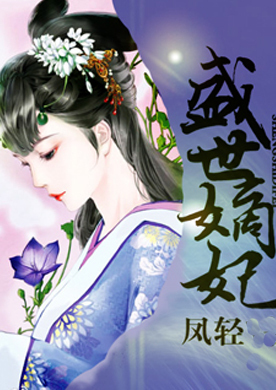 It also has politics, family drama, the imperial court, and the life of a young lady in the fu. As of Chapter 29, our main character still hasn't met our male MC, so I... more>> can't speak much to the romance aspect of the series. However, I can say that this is written well, with smooth pacing, realistic and fleshed-out characters, and a plot that is easy to follow without being too dramatic or boring. The translation is also done exceptionally well. New readers may have a difficult time with all the pinyin and Chinese words, but readers who are used to female historical novels like this will recognize most of the vocabulary. This is really good read. The MC is a careful and calm person. Her temperament is cool and refined. It really reminds me of the MCs from Eight Treasures Trosseau, To be a Virtuous Wife and Happy Days Tied with a Knot. Especially ETT. I was going to put off reading this because Bewitching Prince Spoils His Wife: Genius Doctor Unscrupulous Consort was recommended and I thought it would be like that, with a terribly written plot with one of the most generic Mary Sue MC. I didn't feel like reading... more>> another one of those, but I'm glad I read the recommends for this. There are some similarities between the two, crippled ML and transmigration, but other than that the two are very different. At least, I find the two to be two different. I think the MC in this is actually smart, she cares about the consequences of her actions and she plans. Also, who recommended Enchantress Amongst Alcjemist? Other than transmigration, it's NOTHING like this novel. Or maybe there's more to it, but the plot is so forgettable I regret ever starting it. I've almost decided to stop reading on multiple occasions, but I do like the translator so I stick around for her ramblings at the end of each chapter. Rant over, you should really give this a try if you enjoy reads like ETT, TBAVW, Chu Wang Fei, HDTWAK and transmigration plots with more gentle/serene female leads. This is not a review of the novel's plot. If I could, I would. Also, this is not meant to insult or discourage the translator to stop. I don’t know why people said this novel is similar to 8 treasure trousseau and To be a virtuous wife, this very novel actually resemble Chu wangfei, so much that when I read till the chapter where Zhao yiniang go asking for MC’s help, I came to NU to check if both shared the same author. The plots, the style, the background story and even family connection are very similar. Propped up to be a more sensible version of the talented female transmigration genre, the novel delivers to some extent, but at the cost of the high-strung and slightly ridiculous suspense and melodrama that keeps people hanging. It's a nice enough story where a sensible MC and ML pair slowly fall for each other while drowning in other transmigration cliches. Since they're sensible and there relationship is strong, all the developments thrown at them seem negligible. Other than that, the story doesn't really deliver anything new to the genre nor was... more>> it a significant improvement. One of my favorites to read! Love the steady description and the writing and translations are done well. Nothing feels overly wordy - it's just right. I'm really enjoying the sense of political complications and the rivalry between siblings. Definitely up there for me, right next to my other fave stories (Unruly Phoenix Xiaoyao, Return of the Swallow, Shen Yi Di Nu, Rebirth of Malicious Empress of Military Lineage, Doomed to be Cannon Fodder, and Transmigrator meets Reincarnator). My reviews may contain minor spoilers, so skim or skip if you'd wish to read this with fresh eyes. Also, the rating may change in the future, though it seems unlikely at the moment. This is one of the gems among all the CN transmigration genre. It's everything I wanted to find in the standard novel trope. The writing is excellent and the translation is amazing even though some people might get annoyed at how much pinyin is used, so it might be difficult for newbies to CN to read. I... more>> was also relatively annoyed, but then I spent around 2 minutes looking over the terms each chapter before reading and enjoyed it fully. The main character is mentally strong without being cruel-without-reason, she's not unnecessarily OP (like how so many protagonists of this genre ends up being), and the languid pacing of the novel fits well with its story. The male lead is also very likable, and even though there's your generic antagonists, all the plot points are well executed with an additional slice of well-written side characters. The only thing keeping me from giving this a 5 star is its lack of originality; the story doesn't deviate away from its peers. It's also worth mentioning that the MC doesn't even need to have transmigrated - she could've just been a normal character born in GALF timeline and the story would still carry out the same. Strong and eloquent female lead that nobody can push around. Nice pacing to the story. Great translator. Even though the male lead finally appeared in front of the female lead in chapter 30 (at the very end of the chapter). At the very least his appearance was due to saving the female lead from her ex-fiancée. The ex-fiancée is such a narcissist, thinking that the female lead like him, he cheats on the newly engaged female lead step sister with another women already. Just why would the female lead want such a narcissist and player. Though it not that rare have many wife in the ancient times. But he is not even marry to either the step-sister or the other women (yet). Just because the female lead tells him to go check with a doctor because he being narcissistic and delusional with thinking that she like him, he actually dare to try to grab the female lead, in front of everybody. Thankfully the male lead made it in time (though it possible that he was watching what was happening this whole time, and probably the female lead could have possibly taken care of it herself). It's translate well written well. Nice story. Yes the heroin transmigration to useless body. I like it because even she have meet the Hero she still keep he character that can solve the problem by her own. An the hero just let her do her own way. The best part is cousin brother who love to pampered her. Apart from the plot itself, this story is actually really well written. It's eloquent and mature and there is structure to its writing. The translation is spectacularly done and it really stands out from other stories. It seems promising so far. I love calm female leads. Living an idle life is best! I'll be rooting for her to do just that. Thank you for the translator's hard work in translating so far. The translation flows smoothly and is actually very readable, which is quite rare for new translators. It's boring. Yes, it is written good but there's too many events that aren't really needed in the stories but was still put and the timeline is messy. The marriage was supposed to be happening in a month, then a lot of things already happened but when the characters talk it's still going to happen in a month. It's like their time stopped. Lmao.